Not too long ago, we gave you some ideas for kitchen modern minimalist furniture and today we want to continue with few beautiful kitchen furniture designs that will get you loads of inspiration for all of you out there who love having a stylish classic cooking environment. Nowadays, people want a kitchen that is functional and practical and, at the same time, aesthetically pleasing. Houses are different and so are the needs and functionality we want from our kitchen as sometimes, they are an expression of our own personal dreams. The way we cook can be improved if we can enjoy a space that is designed and made according to the best models on the market. The classic furniture items from the Italian kitchen manufacturer Record Cucine proposes a refined design that is meant to provide a balanced effect between beauty and functionality while keeping an attentive eye to innovation as regards the use of woods and colors. The results are strong and solid furniture models that helps you create cosy family kitchens, linear, corner or with an island for large families. 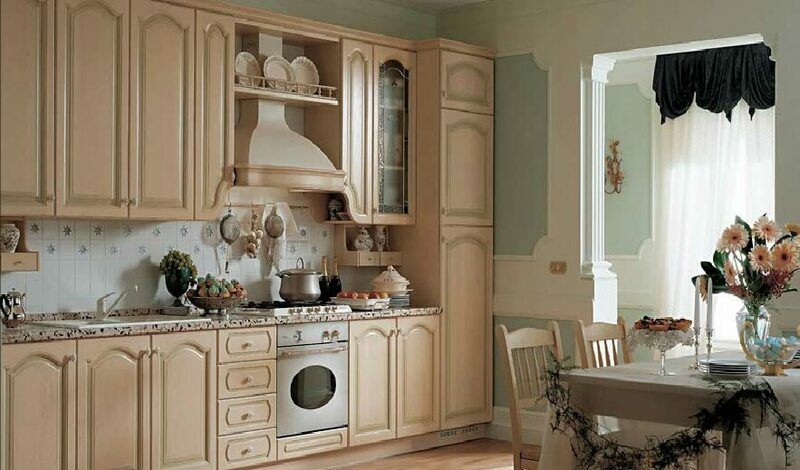 These Italian kitchen cabinets can be customized with a wide range of materials, finishes, colors, details, accessories and elements featuring original shapes. The designs in the gallery below are as stylish as they get, with arrangements that are both functional and with an emphasis on the simplicity of use.